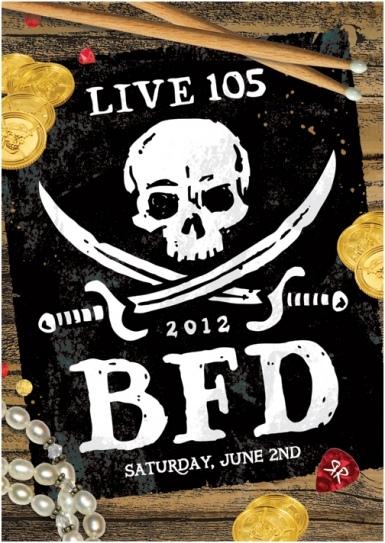 Jane’s Addiction are headlining the Live 105 BFD at the Shoreline Amphitheatre in Mountain View, CA on June 2nd. For the complete line-up and ticket info visit the Live 105 BDF site. Garbage, the band Eric Avery is currently touring with, is also performing. Jane’s are playing the Live 105 Not So Silent Night show On December 9th. The show will take place at the Oracle Arena in Oakland, CA. Other bands on the bill include Mumford & Sons, Florence + The Machine, Bush, and Young The Giant. Check janesaddiction.com or the Live 105 site for ticket info. JanesAddiction.org – Jane’s Addiction @ The Roxy Ticket Giveaway! We’re happy to announce that we have 4 pairs of tickets to give away to this Friday’s Jane’s Addiction show at The Roxy Theatre on the Sunset Strip in West Hollywood, CA. UPDATE: Congratulations go out to forum members henry, filthpurveyer, Poppyman8181 and kettleblack. They have each won a pair of tickets to see Jane’s Addiction live at The Roxy Theatre in West Hollywood, CA this Friday, July 2, 2010! Jane’s “Fans’ Addiction” concert will take place this Friday July 2nd at The Roxy on the Sunset Strip. The Roxy has always held a special place in our hearts because it’s where we recorded our first record. And as we said we want the majority of tickets to this show going to our fans so there will be a few ways to get them from us. Sign up for tickets on janesaddiction.com starting tomorrow. Also look for tweets from Perry or myself this week to win tickets. The remainder of seats will be for those who choose to wait in line at the Roxy on Friday. Doors will open at 8pm. This show is part of the Sunset Strip Summer Concert Series presented by Bing and is being filmed for use at a later time so come dressed to have fun. Jane’s Addiction has added another date to their spring 2009 tour. They will be playing the nTelos Wireless Pavillion in Portsmouth, VA on June 13. This is not a NIN/JA date, as NIN will be playing the Bonnaroo Festival in Tennessee that same day. Tickets go on sale next Friday, April 23rd at 10am. The NINJA 2009 tour is heading to England. Jane’s Addiction and Nine Inch Nails will play the M.E.N. Arena in Manchester, England on July 14th and the O2 Arena in London, England on July 15th. Presale for both shows is this Tuesday, April 14th at 5pm local time at NIN.com. Jane’s website has yet to post any presale info for these shows. Regular tickets go on sale this Friday, April 17th. If you’re signed up at janesaddiction.com then you should have received an email this morning informing you about this show. It will be Jane’s Addiction without NIN in Columbus, OH. Tickets will be on sale to the general public on Friday, April 17th at 10:00 AM (local venue time). Early bird tickets for the 2009 Lollapalooza festival are now on sale over at Lollapalooza.com. The lineup has yet to be annoucned, so these early bird tickets are priced lower than regular tickets that will go on sale later this spring. However, Perry did recently confirm that Jane’s Addiction will indeed be a part of this year’s festival. So a weekend pass guarantees you some Jane’s Addiction in Chicago this August. An additional show on May 21st at the Santa Barbara Bowl in Santa Barbara, CA has been added to the NIN/JA 2009 tour. Presale tickets go on sale May 31st at 5pm PT; regular ticket sales start April 4th at 10am PT.